Alimony In Nevada: What Is Temporary Alimony? Sometimes, during divorce proceedings, a court will order one spouse provide the other with temporary alimony. This concept can be confusing to many people, as most alimony orders are ultimately temporary in that the are only for a fixed period of time (generally not lifetime) and can be modified. However, there is a specific type that is categorized as temporary alimony by the court that is different from periodic alimony. 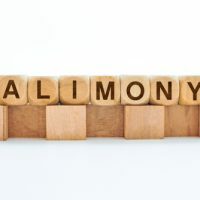 Temporary alimony is somewhat unique in that it is alimony that can be ordered to be paid before the conclusion of divorce proceedings. It is most often ordered in situations where one spouse makes significantly more money than the other, or when the recipient spouse is unemployed. It is also commonly ordered if one spouse works and the other is a stay-at-home parent. Sometimes a judge will decline to grant any temporary alimony, expecting both parties to make every effort to provide for themselves. Most of the time, “temporary” in this situation means “for the duration of the proceeding.” If the court decides that further spousal support is necessary, it will not simply extend the temporary order but rather make specific findings and an order in the Decree of Divorce. This can be a source of some confusion, especially if the terms of the two alimony orders are not the same. If you are under the impression that once your proceedings have concluded you will still pay alimony based on the order granted during proceedings, it may be a good idea to double-check the amount provided in the Decree. NRS 125.040 states that during the “pendency of an action,” the court may order temporary maintenance to help pay costs of living for one party or for the children of the parties, and also to ensure that the disadvantaged party can “carry on or defend” the suit. It is also for public policy reasons that temporary alimony is governed by the same list of factors which are considered for any type of alimony award. Issues such as the current and future earning capacity of both spouses, the physical and mental health of both spouses, and the needs of any recipient party are still very valid questions to ask, even if alimony will only last a comparatively short time. Any issue the court deems necessary to investigate can be looked into – Nevada law grants fairly wide discretion – but the standard list is where a judge will generally start from. While temporary alimony may be granted in your case, and it may turn into a more permanent form of alimony, one cannot simply assume this will be the case. To increase the odds that you may receive the help you need, it is a good idea to get an attorney on your side. The dedicated divorce lawyers at the Kainen Law Group are happy to sit down with you and discuss your case. Call our office today to set up a consultation.